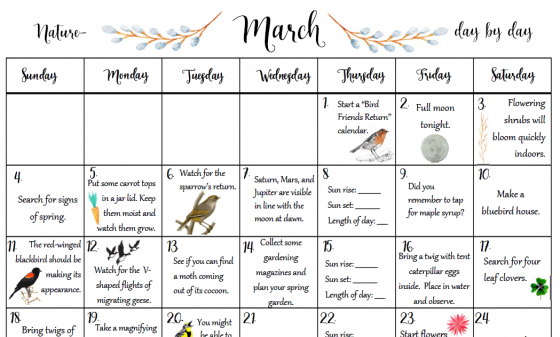 I’ve enjoyed the Nature calendars in the book Natural Science Through the Seasons: 100 Teaching Units by J.A. Partridge. 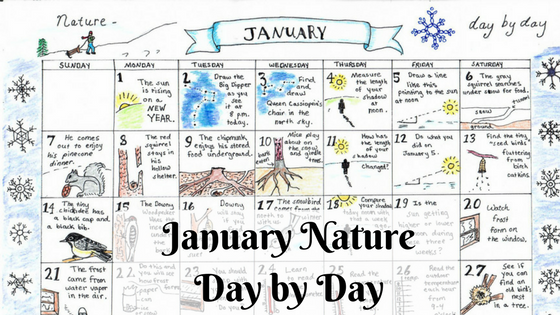 Inspired by the beautiful calendar this talented blogger made, I decided to redo the calendar for January nature calendar. 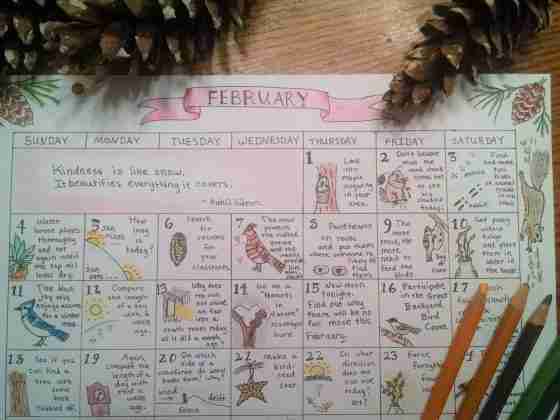 In an effort to spend more time with my little girl and less on the computer, I hand drew the whole thing so forgive the slightly crooked lines. 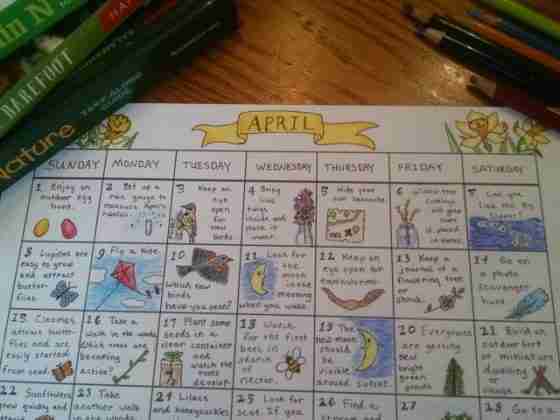 I’m not going to pretend that mine is half as good as the one the other blogger did for October, but I’m sharing anyway.